If you’ve been leaning toward natural gas based on its fuel efficiency, you may be interested to know that you can reduce your fuel usage by 25-40% by upgrading your current heating equipment to modern efficient equipment, regardless of what fuel source you use. And, while natural gas is touted for being a clean energy source, propane is actually the cleanest fuel choice available. Propane emissions are identical to natural gas when burned, but unlike natural gas, propane doesn’t produce methane, a harmful greenhouse gas. 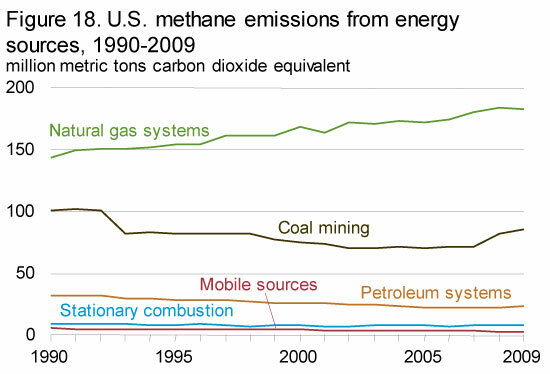 See the graph on the right from the U.S. Energy Information Administration for a look at the methane output of natural gas.